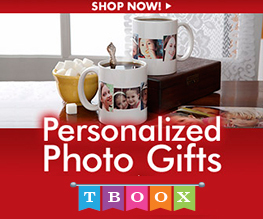 Tboox accept order and deliver to anywhere in Malaysia. Tboox will dispatch all orders in within Malaysia via Skynet or Macrolink Express right to your doorstep, you will be receiving a tracking number from us once your order has been dispatched in within 1 business day. We do accept international orders and are able to dispatch to all countries under POS Malaysia coverage, which includes 220 countries in 5 regions. Tboox dispatch all international orders via POS Malaysia - Register Parcel Mail Priority right to your doorstep, you will be receiving a tracking number from us once your order has been dispatched, in within 1 business day. What courier service will Tboox use if I am shipping my order to Malaysia? For deliveries to areas inside Klang Valley, Tboox primarily uses Isis logistics for value added service like COD (Cash on Delivery). For deliveries to areas outside Klang Valley, Tboox uses SkyNet or Postlaju. Tracking numbers are provided for all shipments. Tboox will use its discretion to determine the best courier for each order, and reserves the right to change couriers without prior notice. Do you provide COD (Cash on Delivery)? What courier service will Tboox use if I am shipping my order outside the Malaysia? For deliveries to areas outside Malaysia, Tboox primarily uses EMS (Express Mail Service), an international express service offered by over 140 postal services worldwide, including the United States Postal Service, Parcelforce Worldwide (UK), Chronopost (France), Australia Post, Canada Post, Singapore Post Limited, and Hongkong Post. However, depending on your order destination, we may also select from a pool of couriers to provide the most suitable delivery service for your specific order. Tracking numbers are provided for all shipments. Tboox will use its discretion to determine the best courier for each order, and reserves the right to change couriers without prior notice. How long my delivery take? We think that you shouldn't have to worry about your goods reaching you, and that delivery should be as convenient and as easy as possible. For that reason we use Isis Logistics, Postlaju, TNT, DHL and other experienced couriers to enable us to get your goods to you via a method that suits you best.